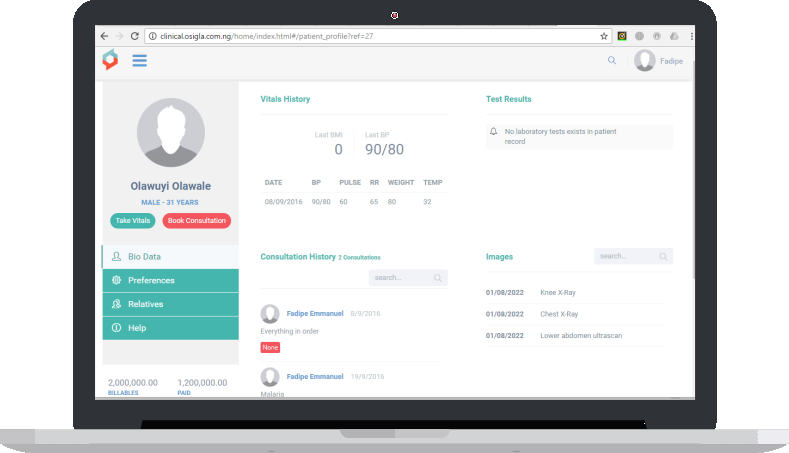 Automation includes every aspect of patient and medical staff experience from patient registration through consultation, laboratory tests, prescription management and pharmacy, appointments, etc. The solution is available as cloud based solution which is built for ease of use and is perfect for zero redundancy and resource optimization. Empowers you to do all patient related actions. Including patient registration, medical records log, appointments management and billing. Prescription after consultation is cleanly printed and easily readable. With instant integration with pharmacy. Pharmacy can dispense drugs in the prescription or dispense alternatives as suggested by CLINICAL. Bills are automatically forwarded to the respective HMO email accounts at specified intervals. HMOs also have access to Clinical to view patient movement and activity log. Clinical’s integrated billing and inventory system, takes care transparently of invoicing. It works efficiently by generating invoices and receipts directly from the medical records, from consultations or drug prescriptions.